TOMS RIVER, N.J. (Jan. 22) – When diners entered the Cozy Kitchen Café at 1839 Hooper Ave. in Toms River on New Year’s Day, they were greeted by new owners, restaurant veteran Terry and husband Wayne Eckhoff. Under their direction, the 12-year-old breakfast and lunch café will continue its mission to serve tasty American food in a comfortable atmosphere at a reasonable price. Terry and Wayne kept the Cozy Kitchen Café name and want their customers to feel they are entering exactly that when they walk in the front door. Terry and Wayne also aim to serve the highest quality food. 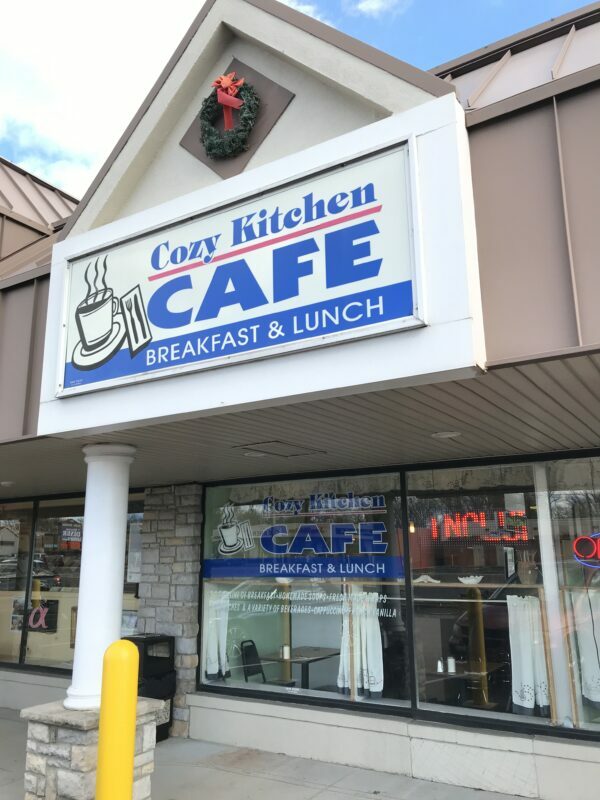 Serving the best pancakes and home fries in Ocean County, Cozy Kitchen Café offers a variety of omelets, French toast and breakfast specials. For lunch, Cozy Kitchen serves salads, sandwiches, wraps and burgers. There are kids’ menus and senior citizen breakfast specials. “And, of course, our coffee’s always first-rate,” Terry added. Cozy Kitchen is truly a family affair. Terry runs the restaurant operations, Wayne handles the facility management, and daughter Leigh-Anne keeps the books. The family shares the credit, though, with a top-notch kitchen and wait staff dedicated to providing a hits-the-spot experience for every diner. Cozy Kitchen Café is open daily from 7 am to 2 pm. For more information, call 732-255-3005 or visit www.cozykitchencafe.com.